The following article by J Edward Brown, a former Radio Inspector and former staff member at Awarua Radio ZLB in the late 1940s and early 1950s, was first published in the Auckland Star in 1980 and subsequently in the January/February 1981 issue of the NZ Post Office magazine Katipo. Although this article describes the working life of a landline telegraphist, there are probably more than a few similarities to the experiences of the radio telegraph operator. Seasonal greetings make this a busy time of year for the Post Office telegraph branch – though not as busy as it was in its heyday, went messages went by Morse code. In this teleprinter age it is not so hectic. Traffic to smaller stations does not have to be rerouted through Auckland, and Telex has spread through the business world. The old Morse-tappers made the telegraph office an elite branch of the Post Office. Then again, glass arm disease could strike and an operator would seize up, somehow losing the ability to produce dots and dashes. The sending operators had to be good, because the only way the distant receiving operator could break through you on duplex to get repeats was through your own receiving operator. Oh the ignominy of it! I was taken off the circuit without question as commanded by the distant operator and dumped on Waiuku. We worked until midnight at Christmas; everybody in those days sent Christmas greeting telegrams. We went back on Christmas Day to clear the backlog. Staff were scarce and there were many retired superannuitant Morse operators with their brown bags of lunch, green eyeshades, their own cushions for the hard wooden chairs, rows of sharpened pencils in the pockets of old suit coats, an occasional alpaca jacket. They were a child-like crowd, paper darts often flew. There was one woman Morse telegraphist, but she was a hangover from World War 1, incredibly ancient to my young eyes. There were a handful of female perforators who worked on the machines. Telegraphists were the best handwriters in the country, no typewriters then. A flowing style was taught to us by the P&T, which could be written at high speed hour after hour, effortlessly, on the yellow telegram pads, though there was one old-timer who had an ancient typewriter, a huge machine with ornate gold scrollwork embellishment, with separate keys for capitals and lower case and punctuation and an upright basket of type with arms which fell forward to print. He played this machine like an organ. The tea wagon was rolled into the office at 10 am, noon and 3 pm by a hara-kiri blonde as they called them in those days – dyed by your own hand – dispensing tea at one penny a cup, and three chocolate biscuits for a penny. “Wire up!” was a cry when a circuit was lost, which was not uncommon because they were copper wires on poles up and down the country – no cable, no radio and no microwave. “Stop all Stations!” was another cry at 5 o’clock when telegraphic traffic had backed up and no suburban post office which closed at 5 o’clock could be given “NI”, the goodnight Morse signal, to go home. The telegraphist and his telegram delivery boys had to wait until all circuits were cleared. The staff were often hard drinking men, who could send and receive Morse drunk or sober, for hours, without mistakes, at least so it was alleged. I have my doubts now. All the cadets then were also taught touch-typing for the Murray Multiplex Quadruple Duplex system, to give its full title. The Murray printer was an old fashioned brass contraption which chugged along at only 42 words a minute with a tocka tocka tocka as the purple printed tape jerked out with messages of sympathy, and congratulation. The gummed tape had to be affixed to telegram forms by drawing it across a wet sponge. It was all done with scissors, snipping the pieces. Boring, and rather messy. It’s only recently that this type of machine has ceased to be used. There were “brushes” at 3 pm on the Murray Multiplex which for transmission used a mechanical arrangement of rotating brushes on a brass segmented plate, driven by an electric motor, to get a time division arrangement allowing four circuits on one pair of wires. The brushes had to be cleaned regularly. This meant a break of 10 minutes and the operators often disappeared across the street to the Ambassadors Hotel. I was a cadet telegraphist in the telegraph office on the first floor of the old Auckland Chief Post Office building in the late 1940s, when telegrams were 8d for six words, and letter telegrams could be sent for 1/2d for 24 words. It was the heyday of the telegram sent for birthdays, weddings, anniversaries, business messages of orders and sales, press telegrams. In these days of telex machines, the last inland Morse circuit has long since closed. Morse telegraphy is obsolete, along with its appurtenance of brass Morse keys, tin-shrouded sounders, brass and ebonite resistance and capacitor boxes, double current keys, galvanometers and carbon filament resistance lamps. Then, all day, a great sea of noise washed over the football field-sized room with harsh neon tube lights and hanging overhead clocks. Hundreds of fingers danced on the black knobs of brass Morse keys, flicking out the dots and dashes that made up the letters and words. Machine printing operators pounded the keyboards of Murray and Creed teleprinters. Girls and boys walked up and down the aisles between the yammering Murray Multiplex and Creed printers and the clacking Morse sounders, picking up received telegrams, putting down telegrams for transmission. Supervisors with clipboards marching up and down the aisles, controlling circuit manning, directing relief staff for meal breaks, making technical adjustments to equipment, opening and closing circuits as traffic volume demanded. The main business of the day started a few minutes before 9 am when “LS,” meaning all stations, was sent continuously on all Morse circits. Some mornings everybody in the office would send in unison, a great roar of clackers – dit dah dit dit, dit dit dit – and sometimes an old-timer would stand up on a table and conduct this great electro-mechanical orchestra in rhythm. At 9 am exactly, simultaneously on all circuits, the word “TIME” was sent and post office doors would open all over the Auckland province. More prosaically on machine printing circuits, a piece of tape with the word “TIME” would silently flick through the transmitting head. Waiuku was a quiet Morse circuit, Te Awamutu moderately busy. I hated the north circuits to Okaihau, Ohaewai and Kaeo, which were tenuous connexions on very long lines. There were always strange clicks and one never knew if it was the telegraphist or the line. Te Kuiti was always busy and then there were the suburban concentrators with lights, plugs and jacks on a miniature exchange board with four operators sending and receiving to ten suburban offices. We received telegrams from Auckland Radio on their Morse circuit from ships with names like Rangitata and Dominion Monarch, a Morse circuit I avoided if at all possible because the operators at the other end sent at high speed and sometimes used radio abbreviations. 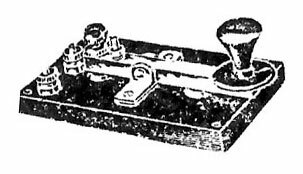 There were separate forms for inland telegrams and cablegrams and before starting to send a cablegram the Morse operator transmitted “DB”, an abbreviation for Doubtless Bay where the undersea telegraph cable came ashore in New Zealand, and the receiving operator would commence writing on the appropriate form. Busy Morse circuits would sometimes go duplex, with an operator sending and another receiving over the same pair of wires. This was common on the Dargaville circuit, which had a daily newspaper but wasn’t on printer and all the Press was sent by hand speed Morse. Some days it would go to a squad with two sending and two receiving. 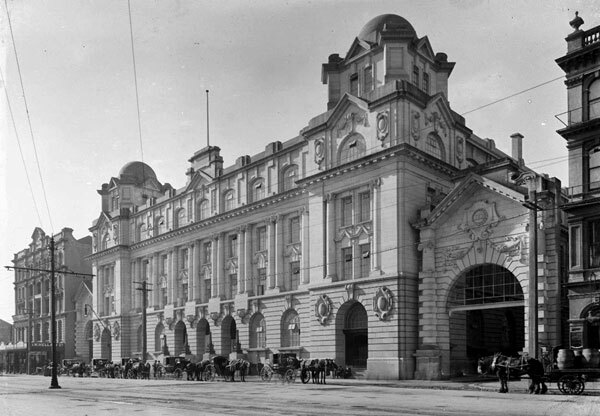 I was recently at a seminar on alcoholism, and one speaker spoke on the old days in the telegraph offices of New Zealand when men were actually rostered to cover other men who were over at the “bloodhouse” having a beer. Incredible today. Perhaps the drinking was caused by the strain of the job. The constant sending and receiving of dots and dashes could be nerve-wracking. Some operators had trouble with dots and dashes in certain combinations. There was one operator who could only send the letter “h” if he stood up. It was quite a sight to see him bobbing up and down. Some Morse operators broke down completely. In some circles it was called glass arm disease. A man simply became incapable of commanding his brain to tell his wrist to make the dots and dashes. In a large telegraph office a man was a number on the duty sheet, a number in the time book, he was issued with a pair of numbered scissors, only noticed if he hadn’t signed on for the shift, or was absent from his circuit, anonymous in the room and known at the other end of a circuit by the quality, good, abysmal or indifferent, of his Morse. They were often lonely men, they might have been talking to themselves rather than to somebody at the other end of a line. There was no real promotion. A few lucky men might make supervisor and fewer still the exalted position of superintendent. For most it was a lifetime as a telegraphist. Maybe that’s why drinking was so common. They had nothing to look forward to, a lifetime of 9 am to “Clear” which was around 5.30 pm, when the work finally started to die, the suburban post office circuits closed, bigger circuits such as those to Hamilton and Whangarei running out of work. Here and there a telegraphist disposing of traffic to a stock sale, a wool sale, a big social wedding, the death of somebody prominent. The telegraph office was different at night. 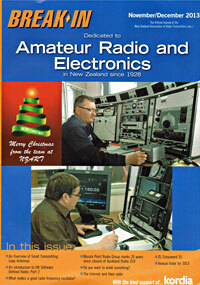 The Morse circuits were closed, except that to Auckland Radio for telegrams to ships. The printer circuits to the provincial towns were closed and only the main circuits to Wellington, Christchurch and Dunedin were open and an operator on the Herald circuit punching Press. Up at the far end of the room was the old lady who checked that all telegrams had actually been transmitted, marking each of the daily thousands with blue pencil, and a couple of assistants sorting them into numerical sequences. A cleaner was gathering up partly-used telegram pads to glue together to make full pads. Nothing was wasted in those days. Pencils were used down to the last inch with stubs inserted into steel tubes. There was the occasional thump of the Lamson tubes where compressed air carriers from the despatch room, the public counter below, the cable room upstairs, thudded in or whooshed out. The building’s night watchman carrying an enormous bunch of keys clanked through the room. Some operators were elevated to the cable room on the top floor, still run almost as a private business of Cable and Wireless. Here at this distant terminal of the British Empire, under incandescent lamps, dark wood-cased telegraph instruments were operated by faded men of strange nationalities – was one an Egyptian? Another Maltese? They were different up there, their codes were different, they were very busy at night. The traffic came with office of origins such as Sydney, London, New York and had long, complicated serial numbers. Before my days as a cadet telegraphist, Morse was already dying, the Creed machines already encroaching from their end of the room down by the toilets, but the old-time Morse telegraphists, bearded, waist-coated in the group photographs on the office walls, were still talked about. There is the story of a telegraphist named Jagger who, for a wager, backed himself to send at a rate of 40 words a minute for half an hour for a new hat (20 words a minute is a good Morse speed). A newspaper reporter was appointed judge of the contest. Jagger talked as he was sending and towards the end of the half hour he was told that if he did not stop fooling he would lose the bet. Jagger then sent at the rate of 45 wpm and easily won the bet with an average speed of 43 words per minute. Another operator sent 42 ½ words a minute for 4½ hours. In the march of communications, the Morse operator has been discarded, his skill of brain and fingers has no part in modern technology.